Thank you for your interest in the 9th St Corridor project. We were very pleased with the number of interested parties who attended the open house. The feedback that we received were positive and suggested sidewalks on the west side and landscaping is what is desired. While we need to accommodate for bicyclists, we now feel the direction we need to head is to add sidewalk, trees, and accommodate bicyclists on the street. Both options below allow sidewalks on the west side for the whole stretch of the project. This will still allow parking on the west side, but in areas where people are parking perpendicular to the road, they would need to park parallel, which will decrease the number of available parking spots currently being used. The “Sharrow” option is the least expensive. It is to add the sidewalk and place Sharrows (which are share the road bike pavement markings) on the street to encourage bicyclists to share the roadway with vehicles. This is the only option where the biking accommodations are consistent throughout the entire length of the project. 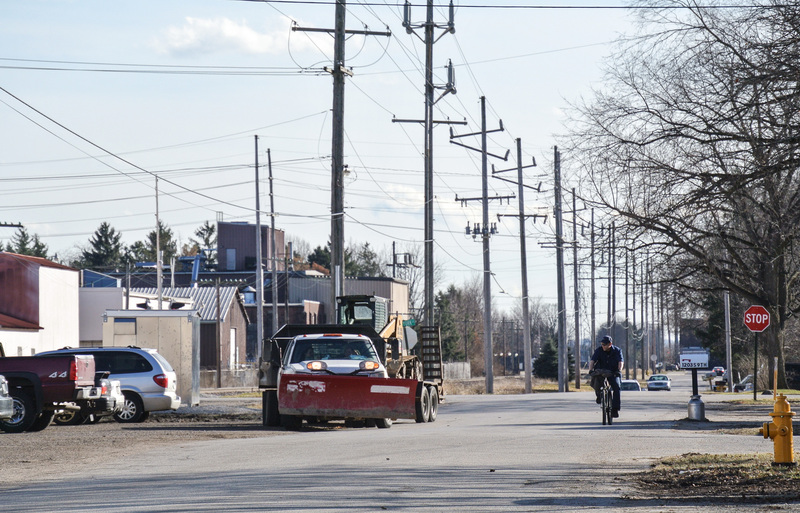 Due to right-of-way constraints, all other options presented had to switch its plan north of Jackson. This options stays the same all the way through due to the fact that it requires the smallest construction footprint. Because this option has a much lower cost than the other options, we could potentially do more landscaping. This option still provides the sidewalk for the entire stretch on the west side. In this option, the road is widened to accommodate bike lanes on the roadway. Bicyclists would be able to use the bike lanes and not be impacted by vehicular traffic. 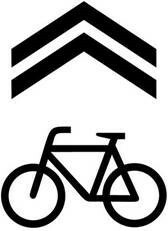 Due to right-of-way constraints, we would need to switch to Sharrows from Plymouth to Purl. So most of the stretch will be bike lanes and some of the stretch will be Sharrows. There is still an impact to parking where people are parking perpendicular to the roadway and could potentially impact a few areas where there may not be enough room for parallel parking due to the road widening. This option is double the cost of the previous option due to widening the roadway. For landscaping, we could add in street trees throughout the corridor. Properties that are red in the above maps indicate there is a negative impact to the current available parking.